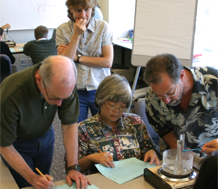 Join us for this upcoming webinar with a focus on the California Common Core and content literacy in history and social science. 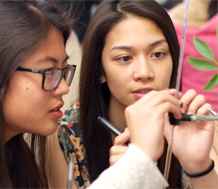 Learn strategies to help students make informed choices for life after high school. Thursday, April 2, 10:30am-Noon (PT). Follow the Center for IDEA Fiscal Reporting on Twitter! 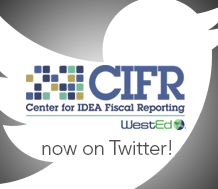 WestEd's Center for IDEA Fiscal Reporting (CIFR) is now on Twitter. Follow CIFR and get the latest on news and events. 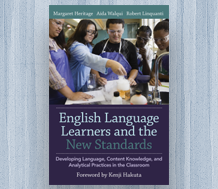 Engage English language learner students in learning subject-area content, analytical practices, and language simultaneously. 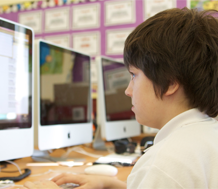 Mixing academic software programs with traditional classroom instruction is increasingly moving to the early grades. 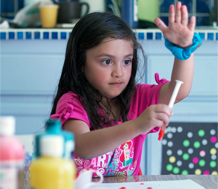 A new report makes the case for why the arts are important for college and career readiness. 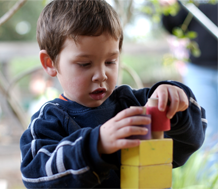 Help children develop healthy eating habits and move their bodies to learn. Forum offered in two California locations. 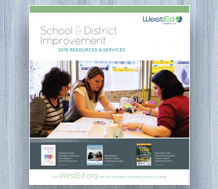 WestEd’s new catalog highlights services and resources designed to help educators achieve rapid and sustainable results. 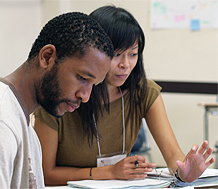 Read about a research-validated framework that helps secondary school teachers support student literacy while reading subject content. Without coaches, teachers may not know if they're getting the Common Core-Math instruction right—WestEd's Robert Rosenfeld.